For several decades, trade unions in Europe – long among the most powerful in the world – have been on the defensive. They have lost membership, sometimes drastically. Their collective bargaining power has declined, as has their influence on government and, in some countries, their public respect. Unions in Western Europe achieved their greatest socio-economic status half a century ago, in the context of large-scale industrial production (‘Fordism’) and the rise of the Keynesian welfare state. Leading employers were ‘national champions’, and national governments self-evidently shaped social and economic policy; it seemed obvious unions were crucial actors in a triangular relationship. Today the landscape has changed irrevocably. 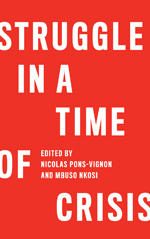 Governments profess their inability to resist the dictates of global economic forces; major companies are almost universally transnational in their ownership and production strategies; trade unions are often disoriented. Many show obvious uncertainty as to their role in the 21st century, giving rise to internal conflicts. Some observers ask whether unions remain relevant socio-economic actors. But hard times can stimulate new thinking and hence provide new opportunities; the challenge is to review unions’ purposes and priorities and to devise new ways of achieving these. This can involve hard choices: not all objectives can receive the same priority, particularly when resources are scarcer. We have completed a study of trade unions in ten west European countries, to explore their responses to the challenges which confront them, and how far they are developing new power resources (Gumbrell-McCormick and Hyman, 2013). European trade unions are weaker than they were a few decades ago, but what do we mean by trade union strength? From the extensive literature on trade unions it is possible to identify four widely recognised power resources. The first is structural, deriving from the location of workers organised in a specific occupation. They may possess scarce skills or competences, making them valuable to the employer and difficult to replace, giving the union ‘marketplace bargaining power’; or they may occupy a strategic position within the production process, such that disruptive action will impose serious costs on the employer, creating ‘workplace bargaining power’. Workers who possess both types of structural power (in the past, for example, skilled typographers in the newspaper industry) may establish particularly strong unions. The second type of power is associational: the simple fact of having members provides a union with resources, not least financial. However, association and organisation are not synonyms: the former may merely involve passive membership of a union by individuals primarily concerned to obtain personal benefits or protections, without necessarily entailing any interrelationship amongst them. It may thus reflect ‘willingness to pay’, without a ‘willingness to act’. Hence we must distinguish a third category, which is organisational power. This distinction underlies many of the debates about union ‘revitalisation’: membership recruitment alone does not equate to organisation (though it may be an essential precondition). ‘Unity is strength’ has long been a trade union motto: but membership itself does not guarantee unity. Constructing organisational power resources is, in part, a process of cultivating and synthesising the ‘social capital’ of the members so that they identify themselves as part of a collectivity and support its purpose and its policies. Organisational power also requires effective processes of internal democracy. A fourth type of power is institutional. Associational and organisational strength may be bolstered by employer preferences, legislative supports, the powers of statutory works councils, the administration of social welfare or a role in formal structures of tripartite peak-level consultation. These institutional supports may well be a product of the prior acquisition of other power resources, but may then provide a substitute if structural, associational and organisational power resources dwindle. Institutional power may prove precarious in the long run yet induce complacency in unions. Unions may face a choice between defending their institutional status and recovering their representational capacity by more innovative policy initiatives. A corollary of the weakening of what are traditionally recognised as key supports for trade unionism is the need for complementary power resources which are not necessarily new but which have been insufficiently appreciated in the past. The first may be described as moral – or in more contemporary vocabulary, discursive or communicative - involving a conception of social and societal change and vocabulary which makes this conception persuasive. Unions need to demonstrate that a better society is their mission and identity, and to convince others that this is a possible and desirable goal. This implies a vision of an active, democratic society, but also a demonstration that trade unions are themselves democratic organisations and propagators of democracy. Another power resource may be termed collaborative (or coalitional). If unions have a declining capacity to achieve their goals through their own resources, they need allies. This requires cooperative relationships with other groups, movements and organisations which have goals and interests in common but also differ from unions in their structure, constituency and agenda. Achieving synergies is a necessary but difficult task. A final type of resource may be termed strategic or logistical. If resources are scarce, they must be deployed smartly. There is a distinction to be made between resources and resourcefulness: if unions can make more effective use of limited resources than seemingly stronger adversaries, they may still prevail. This indeed is the lesson of labour history, when workers and their unions have at times succeeded against the odds. With strategic skill, threats may be turned into opportunities. For over two decades there has been considerable discussion of trade union renewal and revitalisation. Often the recipes have been contradictory: to broaden the range of services for individual members, or to construct new forms of collective solidarity; to fashion new partnerships with employers and governments, or to develop independent fighting strength through campaigns and mobilisation. Selecting priorities is central to the hard choices of our title. We do not have the space here to present detailed findings from our study, but offer some generalisations. First and foremost, there are no ‘quick fixes’ through which unions can regain the initiative: revitalisation requires strategy, not just tactics. So, for example, the ‘organising model’ which unions in many countries claim to have embraced is not just a set of techniques. A serious ‘turn to organising’ means rethinking the aims and objectives of trade unionism, the constituencies that unions attempt to represent, the forms of action which they adopt and the nature of their internal democratic processes. Or to take a very different example, union mergers – which in many countries have been seen as a route to revival – are often as disastrous as business mergers, partly because they are commonly perceived as an organisational short cut without adequate attention to the need, and the opportunity, to redesign trade unionism along innovative lines and to embrace the interests and aspirations of a wider constituency. One reason for the relative infrequency of strategic innovation is that this raises difficult ‘political’ questions. Trade unions possess strong organisational inertia, because strategic change threatens established internal power relationships, while any reallocation of resources to reflect new priorities may create losers as well as winners. There are usually many veto points which can block contentious change. Strategic innovation cannot simply be a matter of blueprints designed at head office level. They must be translated into action, which means engaging the ‘willingness to act’ of members and representatives at grassroots level. Effective innovation is most likely where unions maintain a permanent and active internal dialogue, cultivate the ‘social capital’ of their members, and use their mechanisms of internal education to develop and replenish ‘organic intellectuals’ who can provide a reflective bridge between leadership and rank and file. Revitalisation also entails rethinking the meaning of solidarity. The old slogan ‘solidarity forever’ retains its resonance but must be redefined for the 21st century. There are no longer any ‘average’ union members. Unions have to come to terms with the diversity of interests within the working class, nationally and internationally; collective identity is not given, it must be constructed. And this construction cannot be mechanically imposed: it must be negotiated; unions have to learn how to integrate diversity. Increasingly, unions have been developing mechanisms for self-organisation and separate interest representation for previously underrepresented or neglected groups: women, ethnic minorities, precarious workers, lesbian, gay, bisexual, and transgender (LGBT) members. While in the past such mechanisms would have been regarded as contradicting the notion that ‘we are all workers’, it is now increasingly accepted that until diverse interests can achieve their own voice within the union, any claim to represent a ‘general interest’ is hollow. The material challenges to unions are obvious; but above all else, in most countries they are ideologically on the defensive, hence the need to recreate moral, discursive or communicative resources. This is partly a question of vocabulary, partly of channels of communication, but crucially also of ideas. Most unions have lost a mobilising belief in their own capacity to achieve a better economy and a better society. What is needed is a new, imaginative, perhaps utopian counter-offensive. For example, the current campaign by the German IG Metall for a ‘good life’ (Kurswechsel für ein gutes Leben) is an impressive effort to show that there is an alternative to austerity and deteriorating working and living conditions. The good news is that, however tentatively, many of the trade unionists we interviewed have recognised the need to change and are discovering and implementing elements of strategic solutions. Rebecca Gumbrell-McCormick is a Senior Lecturer in the Department of Management at Birkbeck, University of London. She specialises in European and international industrial relations, trade unions and equality. Richard Hyman is an editor of the European Journal of Industrial Relations and Emeritus Professor of Industrial Relations at the London School of Economics. I suggest that half a century ago the power of trades unions came from the goodness of those whom Charles Dickens called masters in Hard Times. They wanted to make and sell more and better goods and services from which people would benefit. Trade unions helped them to be good by demanding rising pay and better working conditions while accepting that businesses must be profitable despite funding training and some research and part of pensions. Both were helped by governments that kept capital at home, set exchange rates to balance current accounts, limited bank credit and paid for basic education and overly risky research. Over three decades, deregulation has removed these restraints. Now self interest rules largely unfettered by governments. And a combination of low real wages and weak demand mean that globally, more is being saved than is spent on new investments. So governments borrow and spend the surplus savings to restore aggregate demand. Simple arithmetic shows this cannot be sustained but despite the largest crash for a century, system fundamentals are unchanged! I suggest that trade unions are in trouble because of the badness of masters. But unions and businesses are in trouble because the system is based on a simplistic model of human nature and naive faith in ubiquitous free markets and the principles on which the USA was founded. Why don’t trades unions create a system that should truly benefit their members? Fraternity is well respected by religions and consistent with the need to preserve the environment. And our dire circumstances should ensure a hearing for a comprehensive alternative that learns from the failures of capitalism, communism and fascism, all products of the Enlightenment.